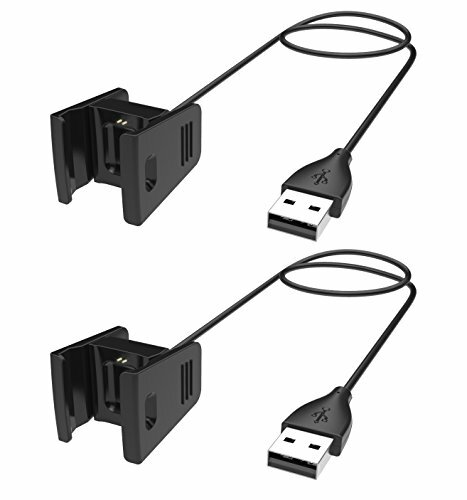 Replacement USB charger Only compatible with Fitbit Flex Heart Rate Fitness,not for any other models. No reset function.Note: Fitbit Flex Fitness Tracker and Band are Not Included. Safety Design:This Fitbit Flex charger has a voltage regulator inside (Built-in voltage regulator protects) to protect your Fitbit from being damaged by overcurrent and short circuit.NOTE: Please plug into the USB port onto PC, Laptop, Mac or Notebook. If you connect it to the adapter,the adapter current must not exceed 1A. 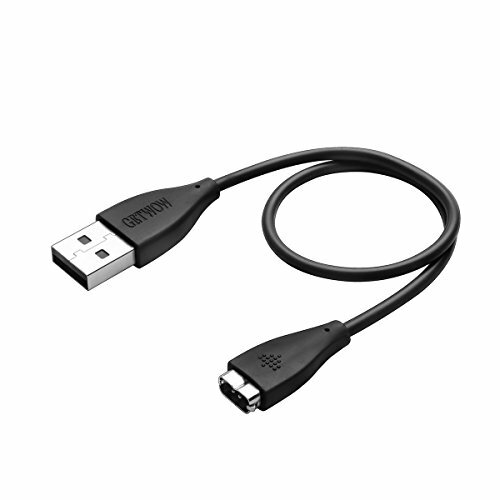 Extra Replacement Charging Cable to Give Your Fitbit Flex Fitness Tracker a Boost in the Office, at Home, in Car or in Travels! Replacement USB charger Only compatible with Fitbit Alta HR Heart Rate Fitness,not for any other models. No reset function.Note: Fitbit Alta HR Fitness Tracker and Band are Not Included. Safety Design:This Fitbit Alta HR charger has a voltage regulator inside (Built-in voltage regulator protects) to protect your Fitbit from being damaged by overcurrent and short circuit.NOTE: Please plug into the USB port onto PC, Laptop, Mac or Notebook. If you connect it to the adapter,the adapter current must not exceed 1A. Cable Length:100cm.Extra Long Length For Ample Reach. Extra Replacement Charging Cable to Give Your Fitbit Alta HR Fitness Tracker a Boost in the Office, at Home, in Car or in Travels! Classic black smooth finish top shells offer a stylish appearance suitable for business or casual wear. Stainless steel band construction provides high strength & resistance against water & sweat. A large expansion range of up to 5" inches will allow you to easily put on and take off your Fitbit without having to struggle with a clasp. Twist-O-Flex's bottom box design greatly reduces any hair pulling or pinching. 100% SATISFACTION GUARANTEE: We are sure that you are going to love your new Twist-O-Flex expansion band, but if for some reason you are not satisfied within 30 days of purchase, we will send you your choice of a 100% refund or replacement. Additionally, you will also receive our 1 year manufacturer's warranty. Please feel free to contact us with any issues that you may have and we will make it right. Customer satisfaction is our #1 priority. ✔The new TAGGMY store opened. In order to expand the store business, the price of the goods is low and the quality is high. Free return and exchange of all goods, to provide you with quality service.Please feel free to purchase.Quality logistics: 10-15 days to reach your hands. Expedited delivery 1-3 days to reach your hand. 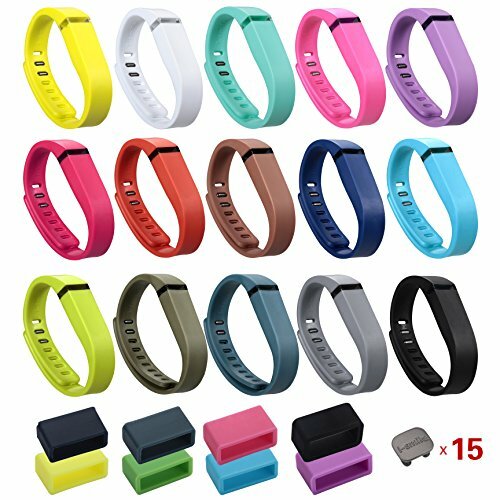 ✔Band made of premium Silicone material with tapered design, it's soft, flexible, durable, elegant and comfortable. Classic silver-tone smooth finish top shells offer a stylish appearance suitable for business or casual wear. Specially designed for New Fitbit Versa,perfect fit with data capabilities,cable length is 1m(39.37inches). 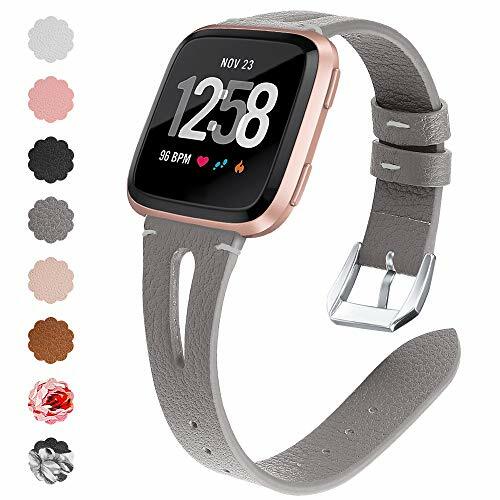 Made from durable PC material and soft ABS plastic,long lasting and avoid scratching,the smooth polished surface protects your Fitbit Versa from rubbing with added fashion. Built-in Voltage Regulator prevents your fitbit versa from being damaged by overcurrent when connected to USB power source. Power protection circuit included,easy installation with proper mounted pins ensures enhanced faster charging speed. Lifetime warranty is on this product.Be full of confidence to get yours as there is replacement or fully refund as the case may be if there is any problem with the product.We can assure you that you'll get full attention if you have any complain about the product. COMFORTABLE FIT - Lightweight and smooth against the skin. 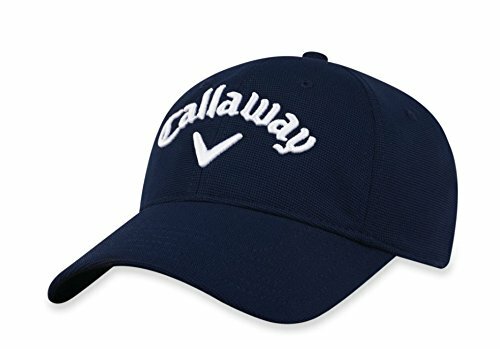 Fits comfortable on your ankle and no issues with wearing it all day, sometimes you even forget you have it on. 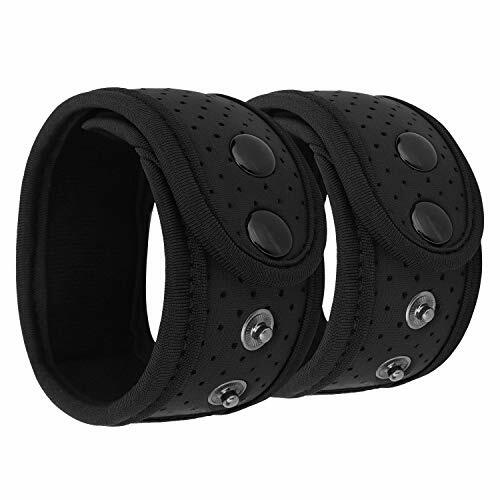 SAFETY HOLDER - The touch fastener on the pouch will ensure your fitness tracker stays securely inside and the band has many snaps that you will holds it sturdy around your ankle, so you don't have to worry about your tracker loosing. TWO SIZE OPTION - Small/ Medium size fits 7 ½ to 10 ½ inch ankle circumference, and Large/XL fits 9 to 13 ½. It has many snaps on the band, you can freely adjust the size to fit better. Flex syncs automatically and wirelessly to tablets, computers and 150+ leading iOS, Android and Windows smartphones using Bluetooth 4.0 wireless technology. We recommend charging your device every few days to ensure you are always tracking. Charge time: One to two hours. ✔FITBIT FLEX 2 WRISTBAND SIZE&WEIGHT: Fit for 5''-8.6'' wrist. Weight:1.45(Oz)/41.3g. Press the button to pull the chain, and you can easily adjust the tightness,Very easy to operate. So it works great for almost all of the females. ✔ENJOY FITBIT FLEX 2 CHAIN BRACELET STYLE: Wear your Fitbit Flex 2 in chain bracelet style. 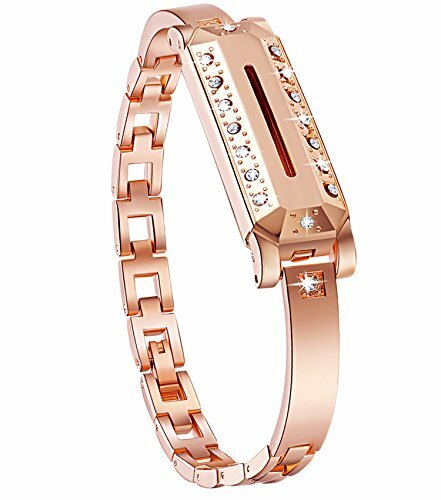 Lock/Unlock the bracelet simply through a Push/Press without any worry of it falling off. The case with hole can make the color-coded lights of your flex 2 be seen easily. You won't miss any important calls and massages when you wear the fitbit flex 2 bands. 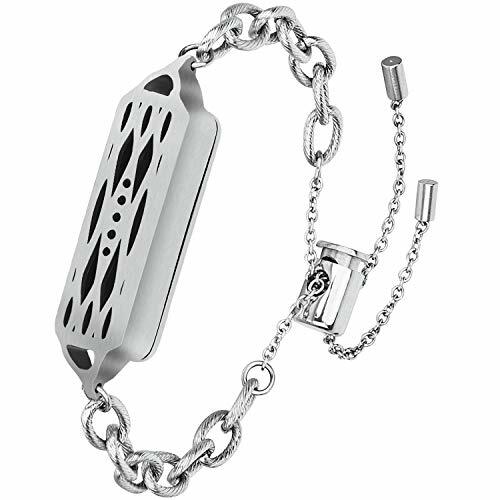 ✔ENHOY ELEGANT CHAIN: Stainless steel chain bracelet matches your favorite jewelry and clothing. Modern, elegant design complements casual or dressy attire enough for work and stylish enough for a wedding. Fashion gift for her. ✔LIFETIME WARRANTY: We assure you the best quality by offering lifetime warranty. Friendly and easy-to-reach customer service support are provided by V-Moro all the time Please Note: Only Bracelet. The Fitbit Flex 2 Tracker is not included. 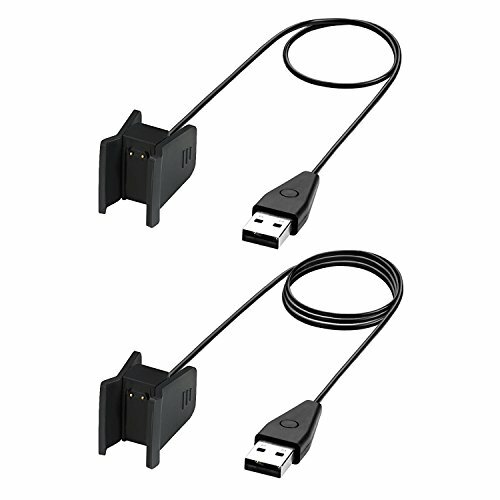 You will get 2 Packs Fitbit Charge 3 charger cable cord. This Fitbit Charge 3 charging cradle stations work ONLY for 2018 Fitbit Charge 3 Tracker, not for other Fitbit models. Securely and Fast Charging: this replacement charger for Fitbit Charge 3 is built voltage regulator inside to make sure your Fitbit Charge 3 charged more securely when connected to USB power source on PC, Mac, Laptop or Notebook. Durable charger clip and exquisite metal connector have a rated durability of 10000 uses, making it sufficiently robust for even the most demanding users. Make your life easier: Extra Replacement Charging Cables keep your Fitbit Charge 3 charged to track your routine at any time. You can keep one in home and the other one in office. 24 Hour Quick Customer Service: Thanks for choosing CAVN Brand Fitbit Charge 3 Chargers. CAVN Team are committed to providing quality products and services to our customers. 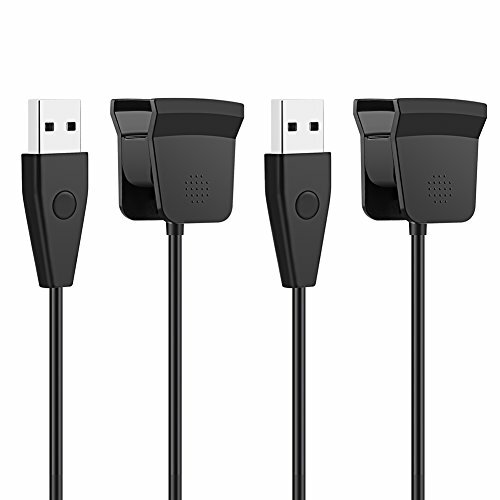 If you have any issues on these charging cables, please kindly contact us via Amazon message. We will help you at first time. 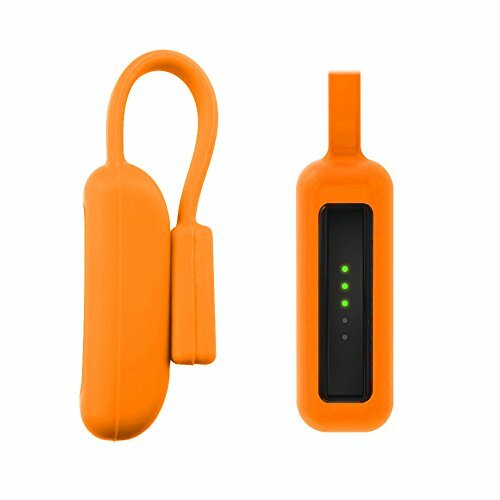 eGenPlus Silicone Clip Holder for Fitbit Flex 2 ONLY.Track your steps in style wherever you go! Quality silicone material and lightweight, Easy to install and carry around. Fashion Silicone Clip Holder only!Tracker or other parts NOT included! Multi color options, give you comfortable wearing experirnce. 12 Months Warranty,replacement or full refund without return,RISK FREE. 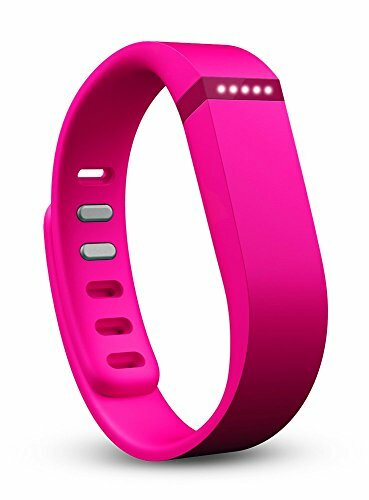 COMPATIBILITY: Personalized Your Fitbit Flex, Flex 2, Alta, Alta HR, Ace, One, Charge HR, Charge 2, Charge 2, Garmin Vivofit / 2 / 3 / 4, vivosport, vivofit JR, vivosmart HR, vivosmart 3 / 4 Activity Trackers. Fitness Tracker NOT included. 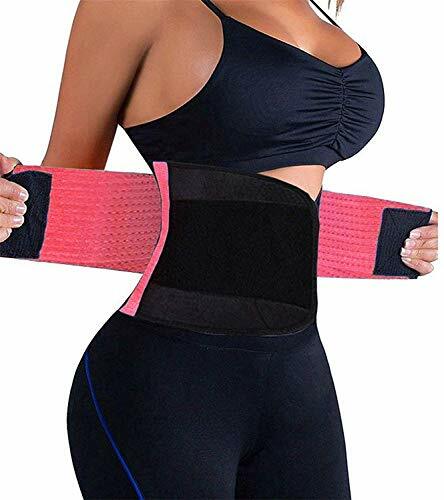 COMFORTABLE: The surface is made of high-quality neoprene material, soft and delicate, comfortable and breathable, to prevent your belt from getting wet. The internal is made of microfiber, it's skin-friendly. PROTECTION: The ankle strap comes with a secret pocket, you can put your fitness tracker into the secret pocket that ensures your fitness tracker stays securely inside. 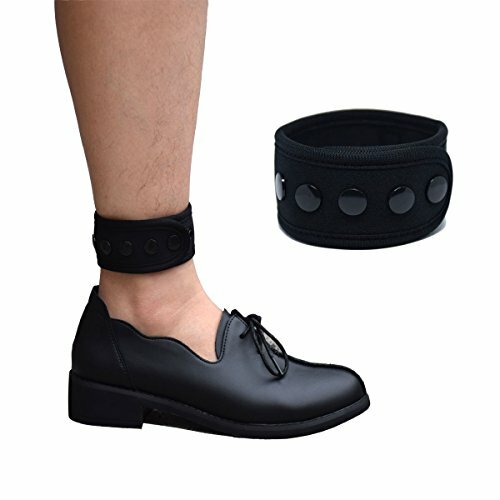 DOUBLE CONCEALED BUTTON DESIGN: Zinc alloy double concealed button design, fits 8.2"-12.2" (210mm-310mm) ankle circumference, comfortable to wear, ensures the ankle strap is fixed to your ankle. WATERPROOF AND SWEATPROOF: The air holes on the surface make you feel comfortable and breathable, the wider and thicker design makes you feel less tense, it can waterproof and sweatproof. 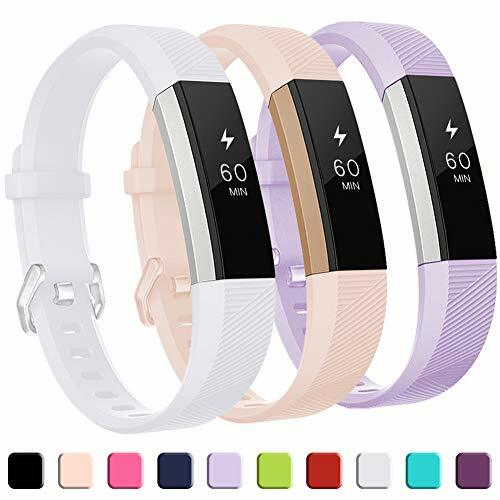 Compatible With: ONLY fit for Fitbit Alta HR Smart Fitness Wristband. Please NOTE: Not fit for Fitbit Alta Smart Fitness Wristband. Reset Function: With a reset button on one end of the USB charger. 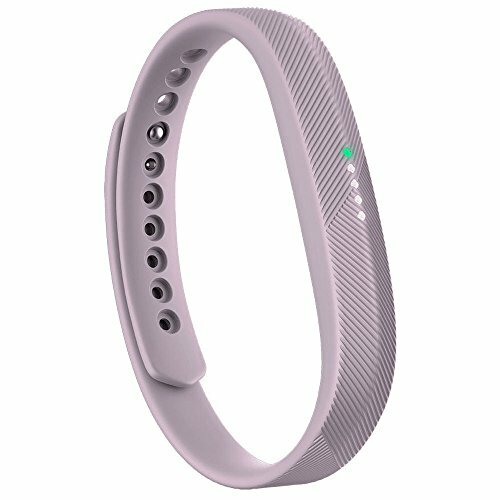 Quickly click the reset button 3 times within 8 seconds, your Fitbit Alta HR Smart Fitness wristband will get restarted. Voltage Regulator (PTC) Inside: Prevent your Fitbit Alta HR from being damaged by overcurrent when connected to USB power source on PC, Mac, laptop or notebook. Charge time: 1 to 2 hours, support battery life and charge cycles vary with use, settings, and other factors; actual results will vary. 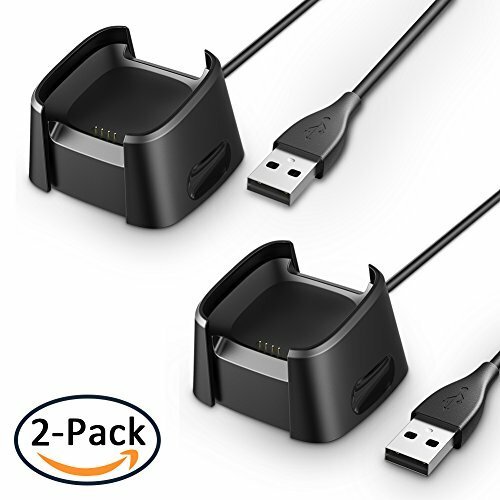 Package Include: BeneStellar 2-Pack Fitbit Alta HR replacement charging cable. Extra replacement charging cable to give your Fitbit Alta HR a boost in the office, at home or in travels. Make your charging become more convenient. Only compatible with Fitbit Charge 2 wireless activity only. 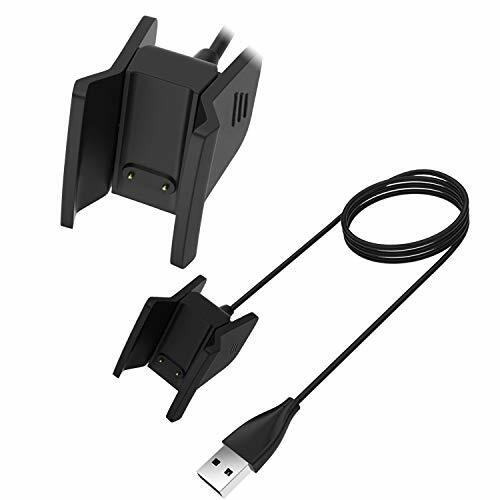 Quality charge cable with voltage regulator to charge your Fitbit Charge 2 more securely when connected to USB power source on PC, Mac, Laptop or Notebook. Extra replacement charging cable to give your Fitbit Charge 2 a boost in the office, at home or in travels. Package Include: BeneStellar 1-Pack 3.3ft / 1m Fitbit Charge 2 charging cable. Replacement USB charger only compatible with Fitbit Charge 2 wireless Activity. Output: 5V 400-1000mA and full of power consumption of 3 hours. Voltage Regulator (PTC) Inside: Prevent your Fitbit Charge 2 from being damaged by overcurrent when connected to USB power source on PC, Mac, laptop or notebook. Extra replacement charging cable to give your Fitbit Charge 2 a boost in the office, at home or in travels. Make your Fitbit Charge 2 charging become more convenient. 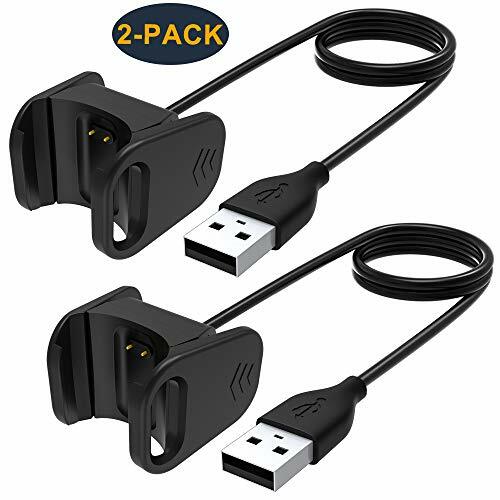 Package Include: BeneStellar 2-Pack Fitbit Charge 2 replacement charging cable. [WRIST SIZE]Please NOTE: fits 6.3"-6.5" wrist well but NOT for quite large or small wrist. 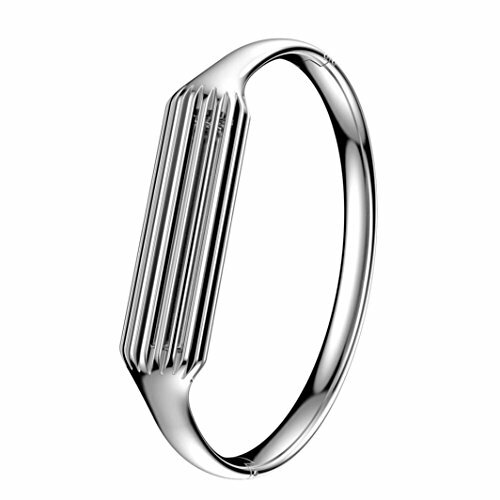 [Great Features]Polished manufacture and bangle design make it both stylish appearance and practical use. [Warm Tip]Fine jewelry piece is pretty but also needs to be protective from water and sweat or other excessive situations. 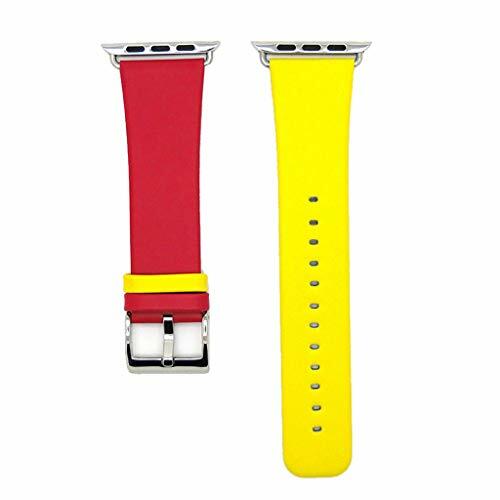 [12-Month Warranty]We take care of all quality-related issues with a replacement or refund if you kindly contact us by email for defective band you got.Or just search"B01M7PPU51" to have a soft silicone Flex2 large band. 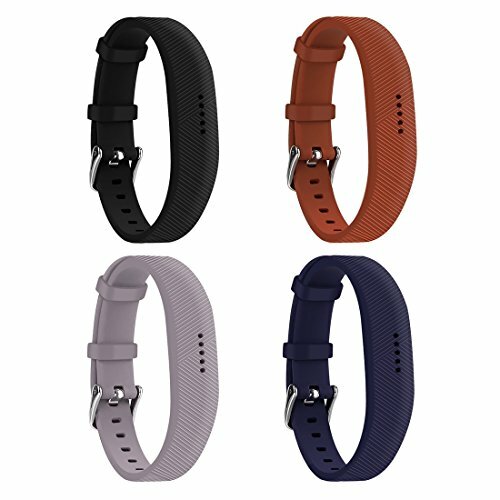 Replacement bands in different colors for your Fitbit Flex 2 . Change the colors that go with your daily style . 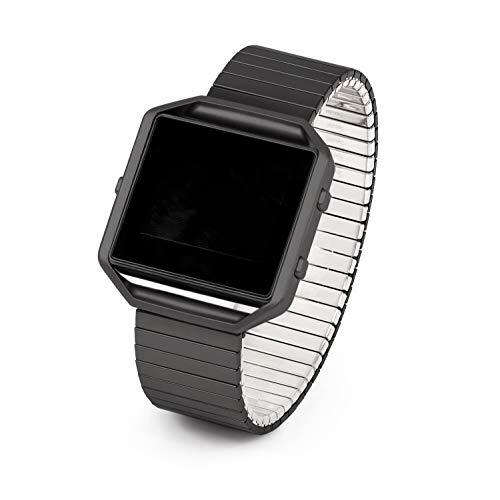 Watch's style buckle and fastener for more security , NO MORE WORRIES about losing your tracker . One-size adjustable wrist from 5.5 to 8.1 inches . Made with soft silicone ,smooth and comfortable , more than a band is a stylish accessory ! The Huadea's Brand Garantee: Our customer service is ready to help and also take suggestions ! 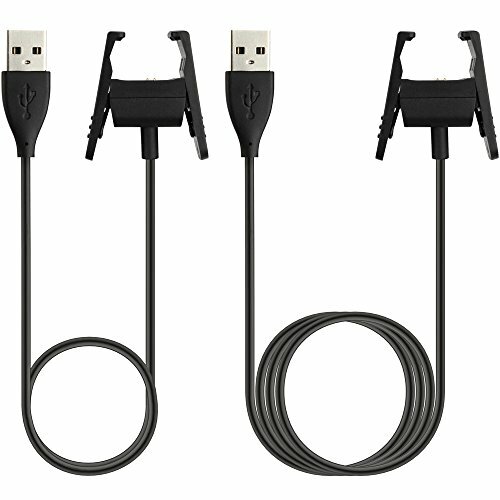 Replacement Charging Cable for Fitbit Alta only, not for other models. No reset function. Keep your Fibit Alta fully charged and ready to go. Please note that the charger for Fitbit Alta is different from Fitbit Alta HR, this one is for Fitbit Alta only. Advanced Safety. It has a voltage regulator inside (PTC) to protect your fibit from being damaged by overcurrent. Convenient & Fast Charging. Clip design fits your Fitbit Alta perfectly. 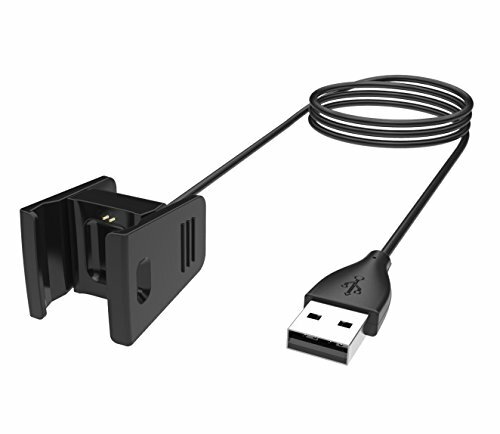 Simply plug it into any USB port on your computer to charge your Fitbit Alta quickly and steadily. 100% New and Durable. Based on 1000+ times insertion-and-extraction tests, it can be trusted for long time use. Note:If you connect it to the adapter, the current must not exceed 1A and the Voltage does not exceed 5V. 2 Pack. Cable length: 30cm. One is for home,the other for office or travelling. Keep it always fully-prepared and never miss any step. Backed by 45days money-back and 12-month worry-free warranty. Unique Magnet Clasp Design:No buckle needed,easy to stick and lock your watch bands.The strong magnet clasp would stick the bands well even in extreme conditions,no worry about falling off. 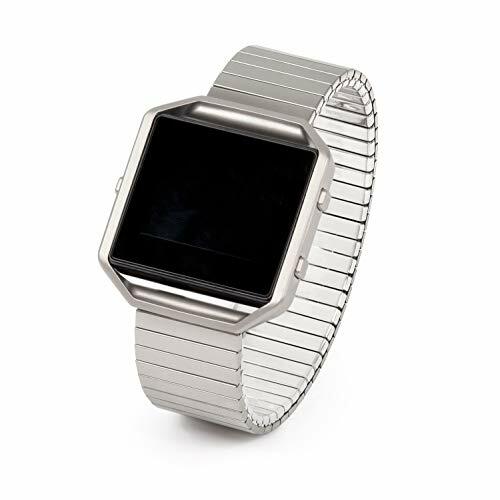 Adjustable Designed:This stainless steel bands for Fitbit Charge 3 designed with a unique magnetic lock, different from the traditional buckled strap, which is easy to adjust the size.Small size fits for 5.5" - 8.5" wrist.Large size fits for 6.1" - 9.9" wrist. Fashion and Stylish Style:High quality and polished stainless steel makes the bands elegant and fashionable.The edge of the band is polished to be smooth, perfect for both men and women. Light and Comfortable:High precision Milanese mesh loop making the bands soft,flexible.Breathable and sweat-proof designed,light and comfortable to wear on your wrist, perfect for both men and women. Please feel free to email us if you met any problem in using our bands for Fitbit Charge 3. High Waist Stitching Design: Fashion over the yoga pants high waist tummy control power flex. 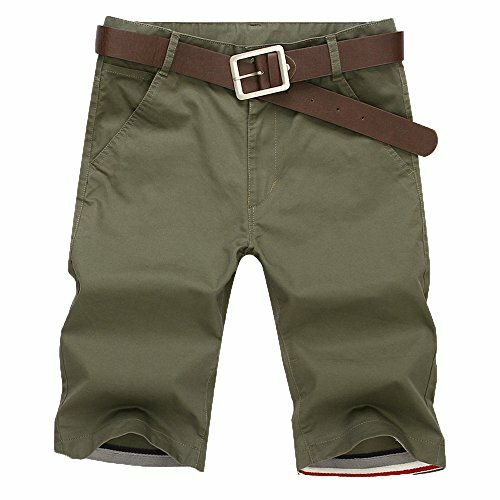 Elastic design of the waist comfortable clung to belly, providing maximum comfort and streamlined look. Breathable Soft & Comfortable: Breathable, good stretchy, opaque, moisture wicking perspiration fabric designed to remove moisture from your body. Made from Buttery smooth and High quality soft fabrics. Unique Stylish Print Design: Print can show your vitality and unique beauty. Designed for yoga fitness close to skin and zero irritation, just like your second-skin. The yoga pants let's your wearing experience more comfortable. Apply to All Seasons: Perfect for yoga, weight lifting, lunges, workout, riding, golt, running any type of exercise or fitness-related activities. One size UP for regular fit, TRUE size for compression fit. 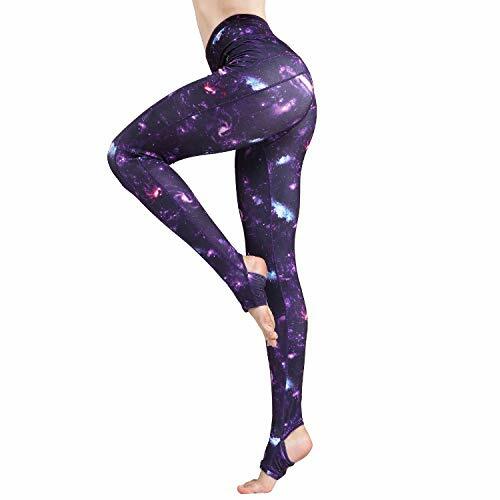 If you don't love the Printed Yoga pants leggings, 100% full money-back guarantee, return them without question within 30 days. 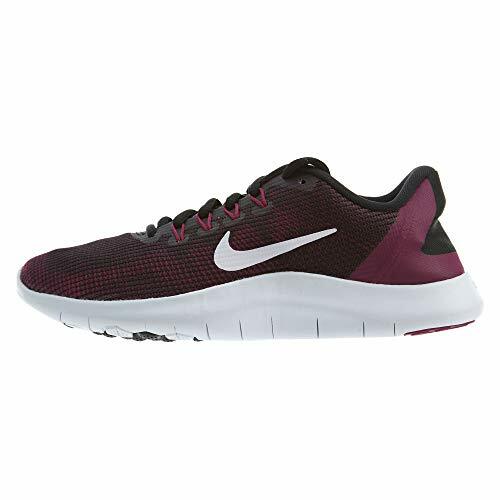 Select your favorite colors and "Add to Cart" now. 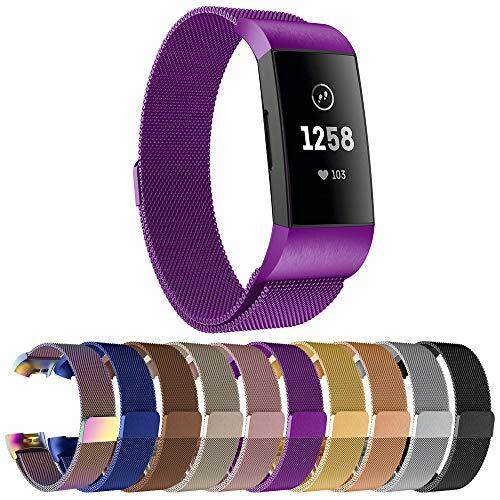 High Quality Material: this bands for Fitbit Alta (HR) / Ace is made up of soft, flexible and durable material. Hypoallergenic and 100% friendly to your health. 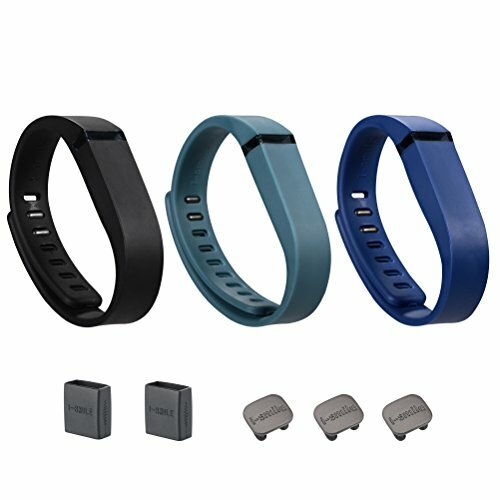 Two size available: GEAK wristbands for Fitbit Alta HR replacement bands available in two size: small size fits 5.5 - 6.7 inch wrists. 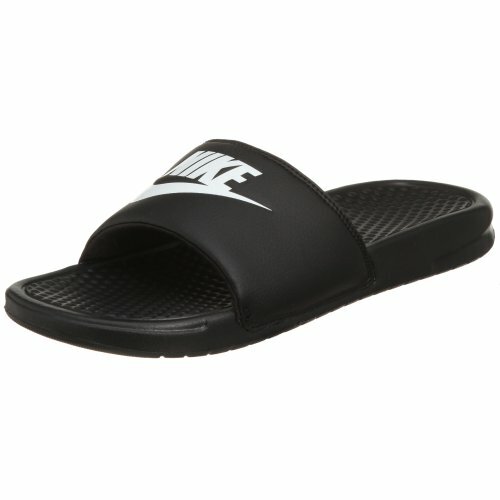 Large size fits for 6.7 - 8.1 inch wrists. Classic Buckle Design: Fine craft design buckle: with a same color with the strap, easy to take on / off. 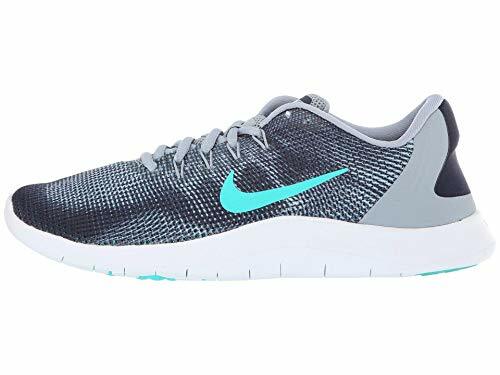 Comfortable to wear when sleep, work or exercise etc. 1 YEAR WARRANTY. Hassle free for a refund or replacement. We will give you a response within 12 hours. Full length yoga pants: high waist and wide waistband tummy control shapewear, hidden inner key keeper pocket. 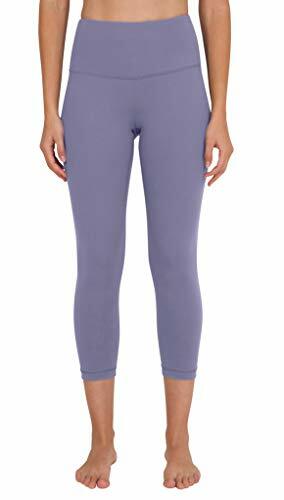 Oalka yoga leggings pull on closure and interlock seams reduce irritation and edges lay flat to eliminate chafing. Oalka leggings will be the best pair of yoga pants you've ever owned. Guaranteed. If you are not satisfied, return your purchased items for a full refund. 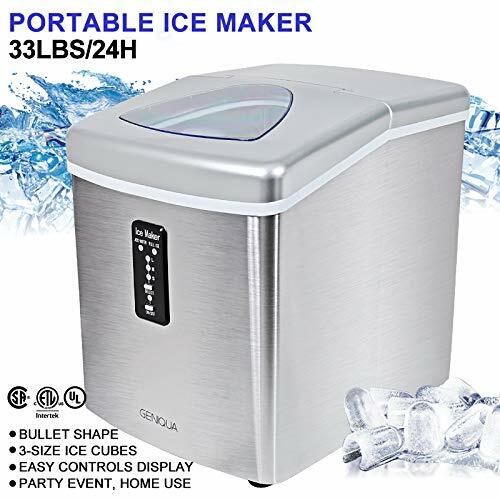 ✔️PORTABLE AND HANDY - Ideal for home, office, party events, RV, anywhere an outlet is available! ✔️SATISFACTION GUARANTEE--100% Money Back Guarantee. Purchase without hesitation! If you are not satisfied with our product, simply return it for a full refund. &#x1F381;【ETL SAFETY CERTIFICATION】 ETL certified for US & Canada use & includes CSA certified gas pressure regulator. Product safety and certification are at the forefront of Gasland chef's advances, ensuring a safe and reliable products for your family and friends to enjoy for years to come! Product size:(WxDxH) 580mm x 500mm x 100mm(22.8"x19.7"x3.9"). Cut out size:(WxD) 560mm x 480mm(22.1"x18.9"). &#x1F381;【HIGH POWER BURNER】 Comes ready for natural gas installation and also includes an easy to use LP gas conversion kit. It features a safe Electronic ignition system with (1) 2,800 BTU auxiliary burner, (2) 5,000 BTU semi-rapid burner, (1) 9,500 BTU wok burner, giving it a total power of 22,300 BTUs. Features a thermocouple flame-out failure system (FFD) , ensuring the gas will shutoff automatically if a flame is not detected, helping to avoid the risk of gas leakage. &#x1F381;【AFFORDABILITY & QUALITY】 Fair Price Guarantee! Made of stainless steel. It comes with heavy cast iron grates for long lasting use and durability. Gasland chef's gas stove top & gas cooktop provide an alternative quality cooking appliance at an affordable price! 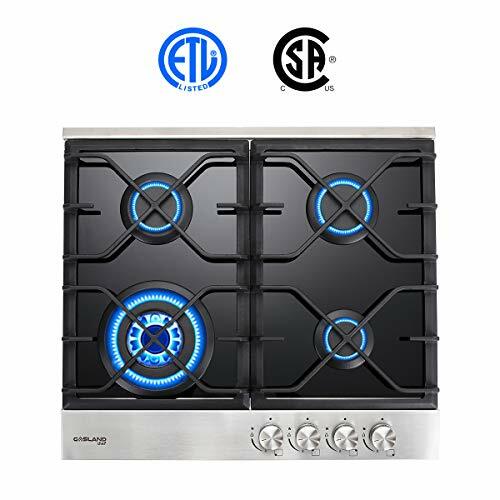 &#x1F381;【EFFORTLESS CLEANING】 Gas stove top gas cooktop surface equiped with stainless steel. Durable bakelite knobs and cast iron grates are easily for clean and maintenance.The kitchen will always be clean and tidy. Please enjoy your cooking time when you use Gasland chef Gas stove top gas cooktop. &#x1F381;【1 YEAR, 100% MONEY BACK WARRANTY】 Here at Gasland chef, customer service is everything! We offer a 1 year, 100% money back product warranty on this model and make the customer experience easy and fast through our live chat, phone support & our online helpdesk. Have a question? Give us a call at (844) 538-7890. 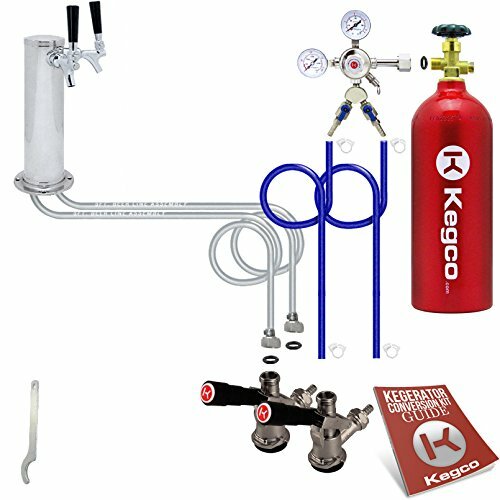 PRO SERIES DUAL GAUGE REGULATOR: This Kegco 542-2 Pro Series Two Product Dual Gauge Regulator has a y-splitter and two independent shut-off valves that let you dispense two kegs at the same pressure. It features a chrome plate brass body, two gauges to display PSI and Co2 volume, and a large, easy-to-use pressure adjustment knob. Also included are a manual pressure release valve and an integral tamper-proof safety relief valve that releases at 45-psi. LEVER HANDLE KEG COUPLERS: These NSF-approved Kegco KT85D-L "D" System Keg Couplers feature sturdy nickel-plated forged brass bodies with stainless steel probes, and are designed for use with all domestic brand American D system Sankey kegs. The lever-handle design is easy to use - simply pull out and then down on the handle to couple the keg. A 55-psi pressure relief valve makes this coupler even more convenient to use, allowing over-pressurized gas to escape before it enters your keg. DUAL FAUCET DRAFT BEER TOWER: Found on many commercial grade kegerators, this 3" diameter air-cooled chrome-plated metal draft beer tower is sure to look great on your own kegerator. It comes complete with two NSF-approved chrome-plated metal faucets with brass levers and two black ABS plastic faucet knobs. Two 5' lengths of 3/16" I.D. beer line extend from the bottom of the tower. STANDARD METAL BEER FAUCET WRENCH: This beer faucet spanner wrench is an essential tool that allows you to quickly and confidently loosen or tighten shank collars without scratching your faucets. This wrench has been built to last with a rugged all-metal construction and a convenient 5-1/4" length. 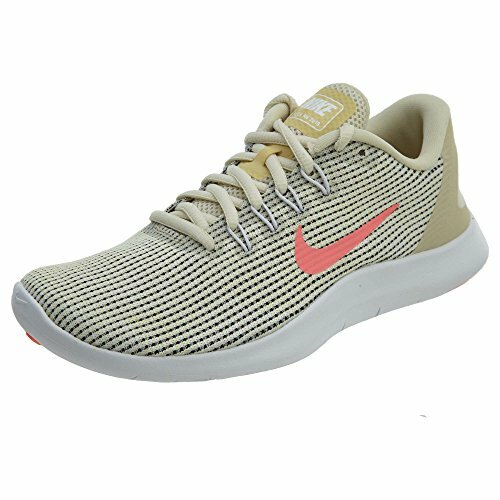 Circular-knit upper provides strategic stretch and support. Dynamic Flywire cables deliver a locked-down fit. Minimal heel design is made with soft foam to secure the back of your foot while allowing natural movement. Co-molded midsole uses a softer injected unit (IU) core foam directly underfoot and a slightly firmer injected unit (IU) carrier foam to deliver softness and support just where you need it. 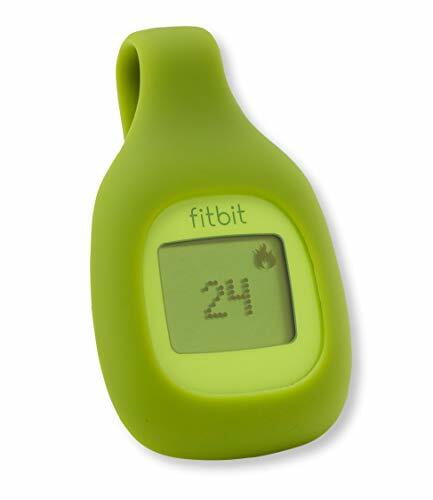 fitbit zip. green. wireless activity tracker. 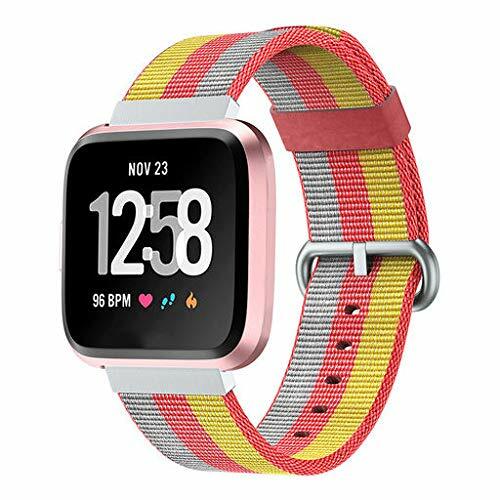 COMPATIBILITIES - QIBOX replacement bands are specially designed for Fitbit Versa Family - Fitbit Versa Smartwatch/Fitbit Versa Lite Edition/Fitbit Versa Special Edition. Fit for 5 - 7.8 inch wrist. They will make your Fitbit Versa infinitely more wearable with any fashion. CONTRACTED DESIGN STYLE - Perfect for hiding your Fitbit Versa in style! So much more comfortable than the original Fitbit Versa bands, because it makes your Fitbit Versa infinitely more wearable with any fashion. Made of elegant & chic design, perfect for your daily outfits. This band is one of a kind to get more compliments for you all the time. APPLICATIONS - QIBOX Fitbit Versa Bands can be adjusted freely. Fit for 5 - 7.8 inch wrist. 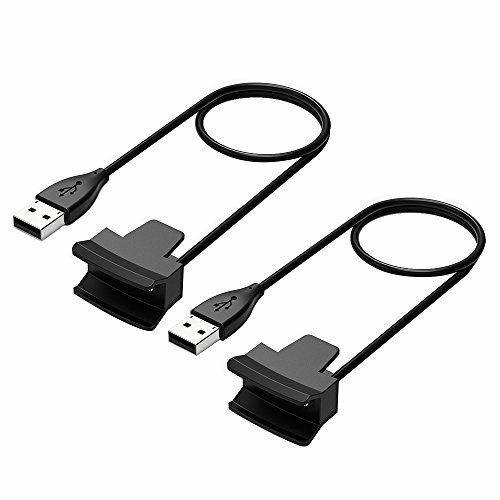 They work better with Fitbit Versa screen protector case on, and you do not need to take off these bands when charging with Fitbit Versa charger. SUPERB QUALITY - High Quality full grain cow leather accessory will make it soft and create an elevated look at day or night at the same time. The comfortable materials are perfect for wrist and will develop an aged patina finish over time. WHAY YOU WILL GET - Fitbit Versa leather bands with installation supporting tool and guide. The Fitbit device is not included. If there're any issues or further questions for our bands, please do not hesitate to contact us via Amazon marketplace emails. We are always be here to provide solution and help you out. Circular-knit upper and lightweight synthetic overlays provide a great fit and feel. Dynamic Fit technology utilizes Flywire cables built into the lacing to promote an adaptive and supportive fit.